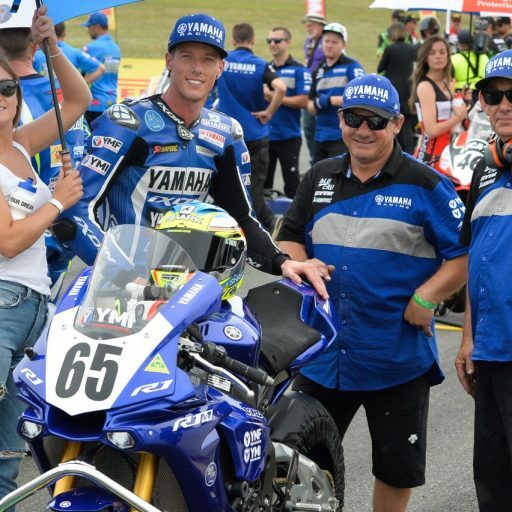 This week we share our chat with three-time ASBK Champion Glenn Allerton to hear his thoughts on the ASBK series and its role in this country. Obviously you have won multiple Australian Championships, tell me about the Australian Superbike Championship and how important it is in terms of being a breaking ground for riders in this country. 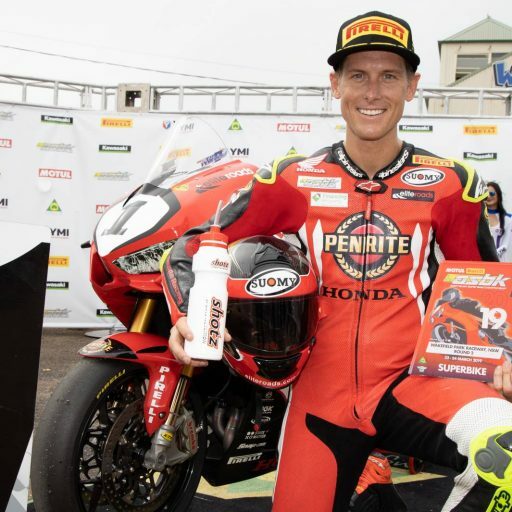 When I was a kid it was something that I aspired to become an Australian Superbike Champion and for me to achieve that goal was more than I ever really dreamed of. I just wanted to be competitive as a racer. You dream of becoming the champion but there is a lot of hard work to get to that point. There were a lot of things I aspired to as a young kid where I liked to watch the guys on the superbikes which meant something to me. When I was younger I wanted to win the Samurai trophy but unfortunately I wasn’t able to do that which is a strange situation. I mean you would think that being a three-time Australian Superbike Champion, I would get the Samurai at some point but that’s not the case. I thought it had a lot of prestige back in the day and it made me work extra hard. You have to work hard in the interim to try and better yourself and become better. The Australian Superbike Championship made me want to do that and so was that Samurai trophy award. I just enjoy the competition and for me winning it three times now I can’t believe it, it’s great! What sort of prestige does winning those championships carry? You must rate winning those championships pretty highly? For me once I did one I wanted to do another. My plan was to go overseas, but the sport has slowly changed over time in its dynamic of how the process to getting overseas has become. There isn’t one at the moment for our young guys, you have to just know the right people and be prepared to spend a lot of money. I never got the opportunity to ride a bike overseas fulltime but I’m happy to still be racing competitively in Australia. The competition never gets any easier – the first championship I won I thought was really hard and then it just got harder and harder every year so it has been a lot of hard work and I really enjoy it. How important is it to have stepping stones to aspire to even being an Australian Superbike Champion or even beyond? At the moment we really need to do something about encouraging juniors from other bike disciplines to have a go at road racing. Back in my day I used to look up to guys like Mat Mladin and Shawn Giles and those sort of guys that I thought were my heroes. At the moment I don’t think that kids have those heroes other than the superbike guys. It’s hard to get a kid from a dirt bike onto a road bike so it’s something I think we need to work on, because when you go to a dirt bike race there are so many talented kids out there and I was from that background where I came from dirt. Then the opportunity never really raised its head until I got hurt where I couldn’t physically ride a dirt bike anymore so I chose to go road racing. I don’t have the answers but I would like to see more effort to be put on the juniors because the kids are the future. If we don’t have juniors then when guys like myself retire who’s going to ride the bike? It’s pretty important for even people like me to invest time into kids coming through with them being our future champions like your Troy Bailiss’ and your Casey Stoners and we need to nurture that. Of your three titles, is there one that sticks out? Obviously the first one is really special – the second one I came in as a total underdog, but the first one was really special because it was a battle from the very first race and it was a battle to the last lap of the last race. That was a special feeling to actually win it for the first time and I feel so glad to be part of that whole year.